The very first predecessor of the Liberec football club was the Reichenberger Fussballklub (RFK) which was founded in 1899 (renamed to RSK in 1904). Ten years later Czech sports groups such as Slovan, Austria, Merkur and Meteor were founded mostly in the Horní Růžodol district. Also an originally German club, Sparta Ober Rosenthal, started its operation right there too; in 1912, its name was changed to Rapid and in 1922 Rapid turned into Czech club. In 1919, the first Czech club – SK Liberec – was founded and until World War II both clubs played at most the I A class in the so-called Pelikán County. On 27 February 1934, SK Liberec took on the new name of Slavia Liberec so that the Czech footballers could affirm their club’s Slavic character at a time when the Nazi regime in neighbouring Germany already presented a serious threat to the former Czechoslovakia as well as all of Europe. The rivalry that once existed in Liberec between Rapid and Slavia can be compared as a smaller version of the rivalry between Prague’s two most famous clubs, Sparta and Slavia. In 1938 the Munich Agreement was signed, in which representatives of Great Britain, France, Italy and Germany forced Czechoslovakia to withdraw from their border area and surrender it to Germany: this also led to part of Czechoslovakia being occupied by Poland and Hungary. After Liberec was incorporated into the German Reich, Czech football in the city came to a alt for a full seven years. At the end of World War II and with the liberation of Czechoslovakia in 1945, Liberec took on the character of a Czech city. The first post-war-game was played in Turnov on 10 June 1945 by Liberec’s football club Slavia. After that Slavia played the I A class and Rapid the II class. In 1949, the new club, Sokol Čechie Liberec XI, was founded and its name was later changed to Slavoj Liberec. It became the first Liberec club playing in the highest competition in 1953. Slavia got a new name, Sokol Zdar Liberec, then Obchodní Domy Liberec, ČSSZ Liberec and Tatran. The internationals Ladislav Přáda, Václav Ježek (an excellent coach later) and others played for them. Rapid became Kolora and they advanced to the highest competition in 1955. But both teams, Slavoj as well as Kolora (2 years later), played only one season in the 1st league. Slavoj merged with Tatran, Kolora with Lokomotiva, and these two merged teams played under the name of Jiskra. In 1958, the decision was taken to close Jiskra and Slavoj clubs and merge the two into a single team that would have the potential to win a spot in the highest league. Athough this plan stirred up very negative reactions among footballers and fans alike and despite the fact that members of Slavoj originally declared that they rejected the plan, in the end they changed their minds. As a result, Slovan Liberec was formed on 12 July 1958. With this name, the football club affirmed the Czech character of the club as well as the region where it played. The very first competitor the newly created team faced was Spartak Praha Sokolovo, as the famous team Sparta Prague was called at the time. Slovan lost 0:3. Despite all of its efforts, for a long time Slovan Liberec was unsuccessful in its flight for a place in the highest league. At certain stages of its history, it was even relegated to third league or the regional division. In 1970, Slovan managed to be promoted back to the second league, which at the time included five Bohemian, one Moravian and ten Slovak teams. Due to the vast distances, the footballers from Liberec even had to board planes to play against teams in Bardejov or Michalovce, located in the easternmost reaches of the country. In 1971, Slovan again failed in its attempt to be promoted to the first league. Following this were two relagations and promotions back to the second league which was divided into the Czech and Slovak national league. After overcoming a financial crisis that the club found itself in following the 1989 ’’’Velvet Revolution’, Slovan Liberec finally got a chance to advance to the top league. On 6 January 1992, the new history of Slovan began, when the new young management got its chance at the general meeting and promised to advance to the first league. Following the dissolution of Czechoslovakia in 1993, the six best teams in the second league were promoted to the newly created Czech premier league. Slovan finally did it – they advanced from fifth place. In the first years in the league, Slovan finished mid-table. The first successes were two consecutive cup finals. In 1999, Slovan was defeated by Slavia Prague 0:1, and in 2000, Slovan won the Czech Football Cup by beating second-league Baník Ratíškovice 2:1. In the 2001/2002 season the club ascended up to the league throne, becoming the first Czech Republic Champion outside Prague. Since then, Slovan has ranked among the local football elite and has won two other League Championship titles (in 2006 and 2012) and reached the cup final two more times, losing to Sparta in shootout in 2008 and winning over Jablonec in shootout in 2015. Slovan had been playing European Cups for 10 seasons in a row since the 2000/2001 season. But our players achieved the greatest success in the subsequent season. They got to the UEFA Cup quarterfinal, overtaking such teams as Celta Vigo, Real Mallorca and Olympique Lyon. They failed only against Borussia Dortmund. One year later, our players tried for the first time to break into the Champions League. But the strong AC Milan stood in their way. Our players went down 0-1 in Italy and won 2-1 at the U Nisy stadium. But the Milan team advanced and Slovan had to make do with the UEFA Cup. But they did not get into the spring part of the competition, going out in the 3rd round against Panathinaikos Athens. For the next three years Slovan played in the Intertoto Cup. In the 2004/2005 season they failed to win only in the finals against Schalke 04. In the 2006/2007 season FC Slovan Liberec tried to get to the Champions League but Spartak Moscow stood in their way. FC Slovan Liberec continued in the UEFA Cup, where the team eliminated Red Star Belgrade and got to the group stage and took fourth place. Last time Slovan participated in European competition in that decade was in the season 2009/2010, where they got unluckily eliminated in the playoffs of the UEFA Europa League by Dinamo Bucharest in a penalty shootout. After a two years pause Slovan appeared in UEFA competitions again. In the 2012/13 Champions League qualification we managed to overcome the team of Shakhter Karagandy but CFR Cluj in the next qualifying round as well as Dnipropetrovsk in the playoffs of Europa League were beyond our powers. 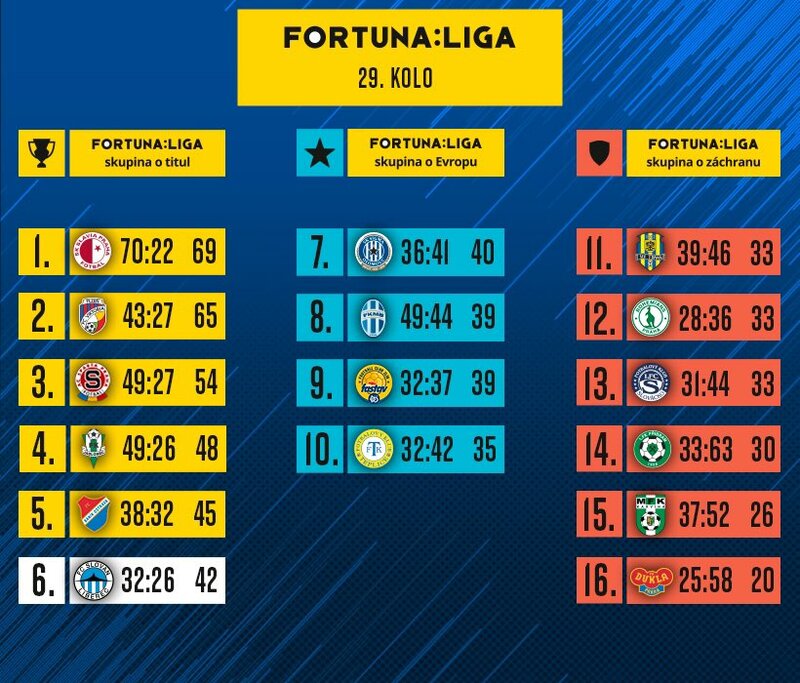 In the subsequent season we got to the Round of 32 in the Europa League overtaking Skonto Riga, FC Zürich and Udinese Calcio in qualification rounds plus SC Freiburg and Estoril Praia in the group stage. The 2014-15 season saw FC Slovan compete in the same competition and they managed to eliminate MFK Košice, but the journey ended right after that when FC Astra Giurgiu proved more powerful. In European Cups thus far, Slovan Liberec has been able to eliminate IFK Norrköping, Slovan Bratislava, Celta Vigo, Real Mallorca, Olympique Lyon, Dinamo Tbilisi, Ipswich Town, Shamrock Rovers, Racing Santander, FK ZTS Dubnica, Roda Kerkrade, FC Nantes, Beitar Jerusalem, CZ Belgrade, FC Vaduz, Shakhter Karagandy, Skonto Riga, FC Zurich, Udinese Calcio, SC Freiburg, Estoril Praia and MFK Košice. Slovan’s best scorer in European cups (with 12 goals) as well as in the league (with 62 goals) to date is Jan Nezmar. Together with him, players who have particularly stood out in Liberec’s recent history include Ladislav Maier, Martin Hašek, Libor Janáček, Josef Lexa, Pavel Čapek, Roman Týce, Leandro Hernán Lazzaro Liuni (ARG), Martin Jiránek, Tomáš Janů, Jiří Štajner, Václav Koloušek, Jiří Štajner, Ivan Hodúr (SVK), Antonín Kinský, Petr Papoušek, Miroslav Holeňák, Jan Polák, Marek Čech, Tomáš Zápotočný, Filip Hološko (SVK), Andrej Kerić (CRO), Michal Breznaník (SVK), Theodor Gebre Selassie and Michael Rabušic.